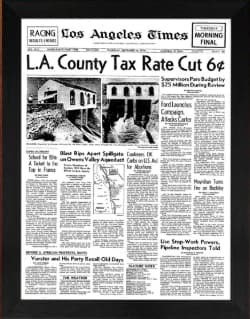 50th anniversary gift ideas for your grandparents can be difficult, you want to buy them something that is beautiful and meaningful but gold doesn't come cheap! And even if you could afford to buy them a gold bar - what would they do with it? It is not exactly something that you want to prop the door open with. Instead of using gold literally your best ideas will come from using gold as a theme. For the ladies you could look at a gold colored shawl or handbag. Ceramics and glass decorated with gold are also beautiful, just make sure that what you buy is to their taste and you are not just buying it because it fits with the theme. For men you could look at a gold tie, scarf or cufflinks or a gold pen. If they are into a particular hobby is there a must have gadget or piece of equipment that they have had their eye on for ages? Don't worry if it is not gold colored you can always find gold wrapping paper. a cd or dvd - anything that they love. Wrap everything up in gold paper and tie with a big gold ribbon. Or if you need to send your Gift Basket for your grandparent's 50th Anniversary we can arrange that for you. 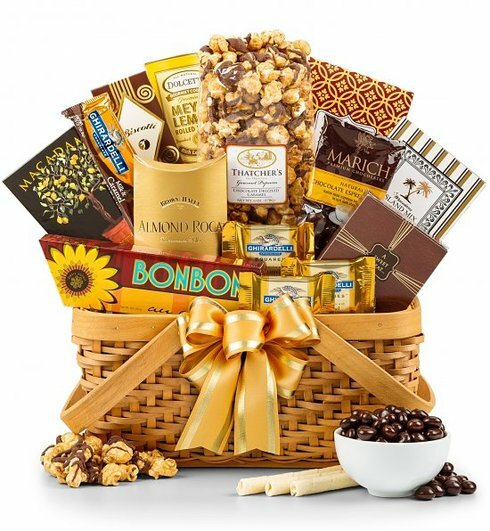 This gift basket is available in our shop and as long as we have a bit of notice we can arrange for it to be delivered on the day of your choice. Family and friends are important to everyone and memories last forever so why not hire a photographer and ask them to take a big family portrait, you can then have this framed as their anniversary gift. 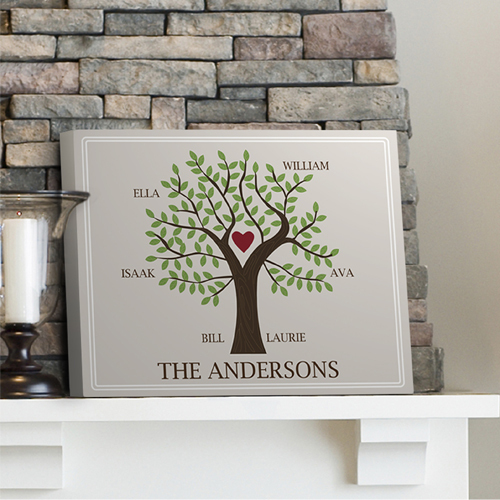 This personalized family tree canvas would look lovely at your Grandparent's home. Add their names at the base of the tree and names of their children on the branches. 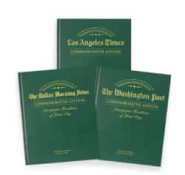 There are three different designs to choose from; modern, contemporary and traditional. Available in our shop, find out more here. This beautiful personalized photo box would be a lovely way to display photos of your Grandparents and their family. 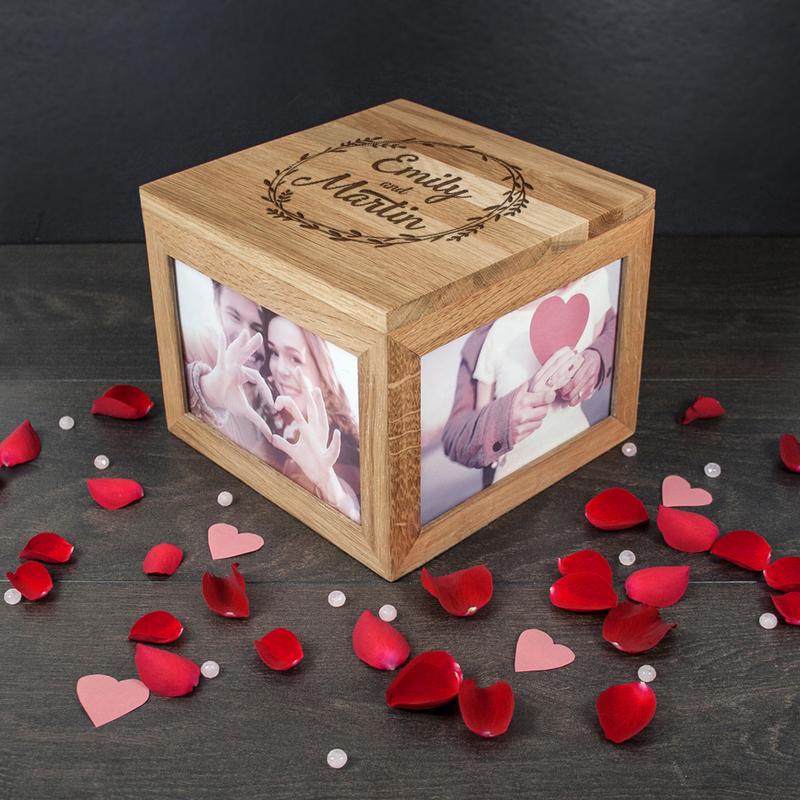 Engraved on the top with their names and space for four large photos, plus inside the box there is space to add gold wrapped chocolates or another treat you know they will adore. Available to buy in our shop, all the details are here. 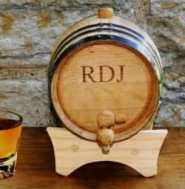 Instead of engraving with their names we can add the names you have always called them by; Pops and Grandma, Granny and Grandad, Nanna and Poppa. It's your gift, so you get to choose what you have engraved. Or if they have thousands of photos and old cinefilm you could bring them up to date and make a beautiful album or dvd for them to enjoy together. Memories from 50 years ago and the day they were married would be a wonderful gift for your Grandparents to enjoy together. 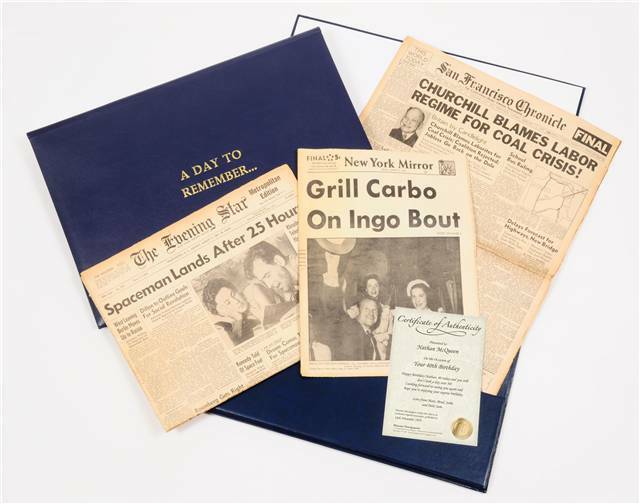 The Day to Remember gift comes with three original newspapers. Available to buy in our Shop. Memories can also be from films and music, find albums and dvds of their favourites from when they were courting and put together a cosy night in gift or have a party and enjoy them together. A 50th anniversary party is a great gift as they can enjoy all of their friends and family, make sure there are lots of photos taken for you all to look at after.